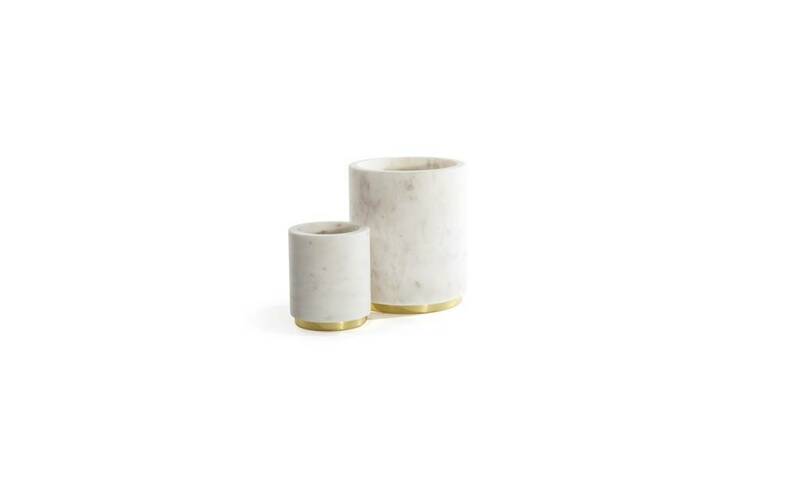 Constructed of a hollowed white marble block and finished with either copper or brass details, the Mara Utility Canisters are adaptable to a range of uses. 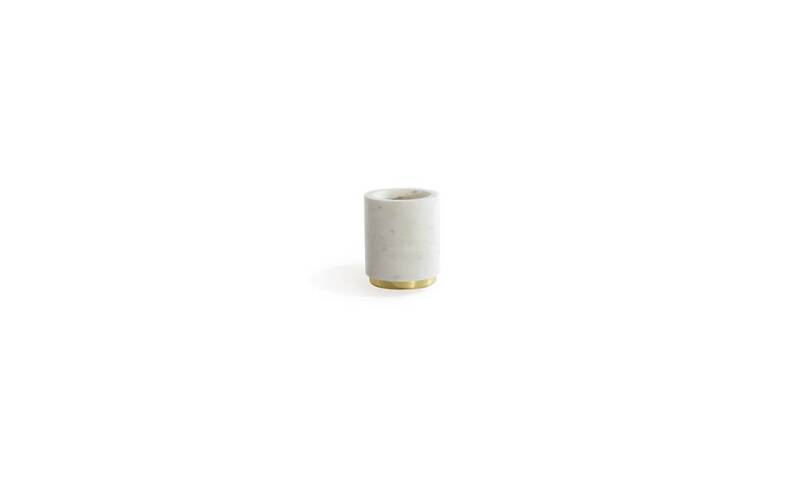 The large canister can be used as an ideal utensil holder, or as a beautiful refrigerated wine chiller. 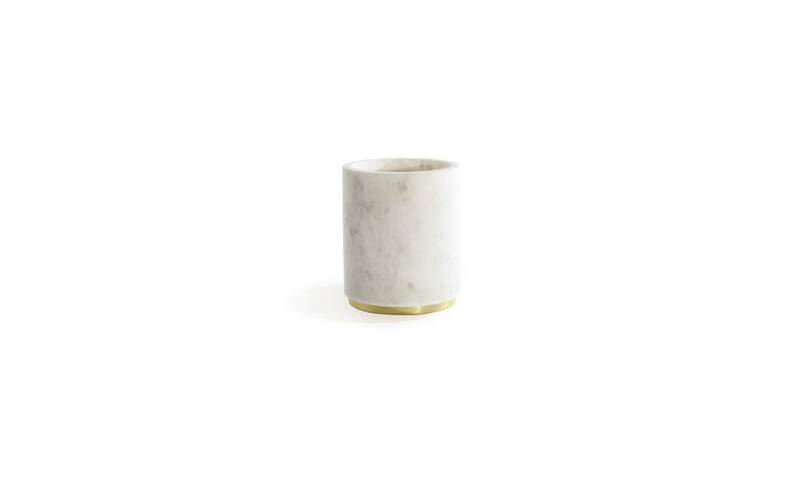 The smaller Mara canister is perfectly designed for use as a desk pen cup, or for a multitude of bathroom essentials.